George Braque’s modernist paintings inspired the transformation of this 17th century Italian cassetta style frame into a more contemporary design. The intense Modernist design in Braque’s paintings come alive in these profiles. 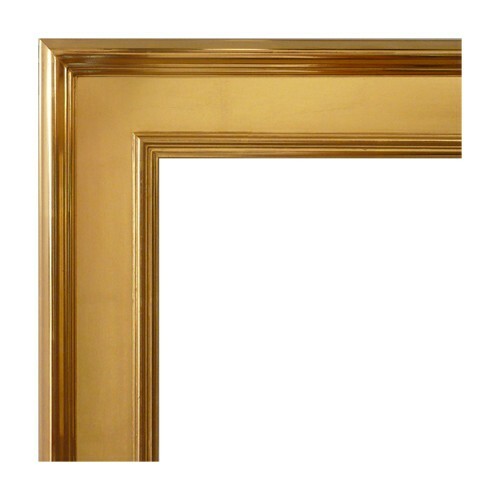 The genuine 22K gold leaf has been burnished and rubbed to reveal the red clay highlights. By double gilding the panel, these exquisite finishes beautifully exemplify minimalist perfection.